Being a stay-at-home-mom is at the top of wish lists for a lot of women. Maybe it is at the top of yours. Whether you are a career woman or a born to be homemaker (pre-kids), things change once that baby looks at you for the first time. Financially though, it can be a stretch to live on only one income. How do you budget your money when you want to become a stay-at-home-mom? It’s totally possible! Honestly, I never dreamed of being a stay-at-home-mom. I was on a fast-track to the top of the career totem pole and had zero (and I mean ZERO) intentions of staying at home with my future kids. Ten days after I graduated with my Masters degree, I had my first baby. Spoiler alert: My life changed dramatically, I didn’t want to leave my baby ever and I desperately wanted to be a stay-at-home-mom. 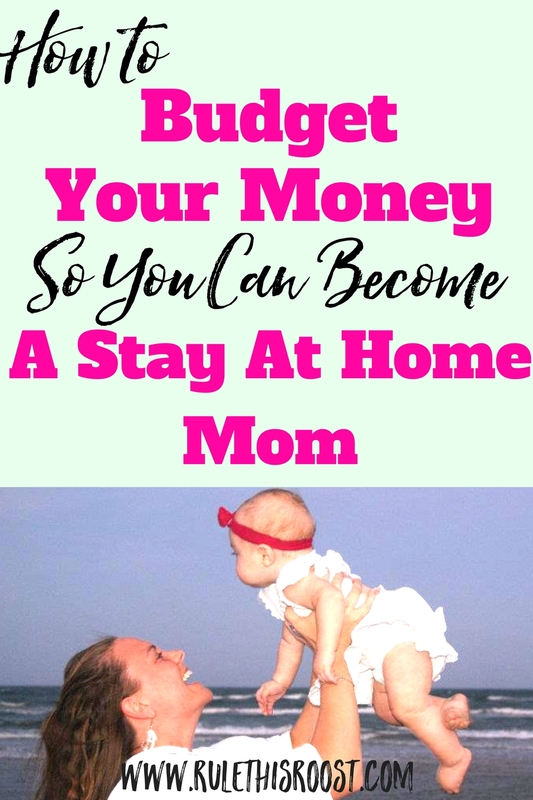 The only way I could become a stay-at-home-mom was if my husband and I looked at our budget very closely and made sure it would work for the long haul. Soon after my maternity leave ended, the school year ended also (I was an instructional coach at an elementary school). I took on a part-time job working for my brother-in-law’s company. 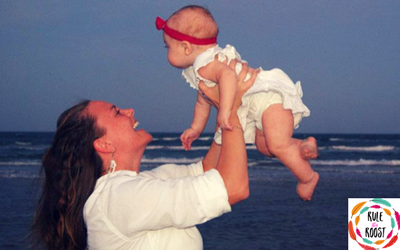 By the time my daughter was 16 months old, I was staying at home full-time. So, how did we budget our money so I could become a stay-at-home-mom? We did it very carefully and with a whole lot of intention! Try to be debt free. Note that I said to try to be debt free. I am a firm believer in living a debt-free life, but I’m even more of a believer in moms staying at home with their kids. Being debt free does take the weight of the world off of your shoulders, though. If you don’t have kids yet, but you plan on having kids, pay off your debt NOW if AT ALL possible. I don’t think you should put off having kids if you have debt, but it sure does make it easier to be a stay-at-home-mom! We paid off debt before ever even thinking about kids, and it put us in a good position for me to stay at home. After we read the book, The Total Money Makeover, we paid off our debt and never looked back. Best.decision.ever. If you can live on one income, still provide the necessities for your family and pay off debt, that would be ideal! Even if the process of paying off debt is slower, it is totally worth it to be able to be more financially free AND stay at home with your kids. Figure out what your household income will be, if you become a stay- at-home-mom. This seems like a simple step, but a lot of people don’t know exactly what they bring in on a monthly basis. You need to know the exact figure so you know what you will be living on. Look at your spouse’s income. After taxes, insurance and any other deductions come out, what is the amount that will actually hit your bank account? This is the amount you will be working with as a one income family. Make a monthly budget with your essentials only. If you want to become a stay-at-home-mom, it is important to know what essentials you need to include in your monthly budget. When you sit down to come up with your budget, it should first include only your essentials. Essentials include a roof over your head, food, clothing, transportation and minimum payments on your current bills. These are things that you need to “just get by” with. If you can cover those items with one income, then you are on the right track to being able to financially swing being a stay-at-home-mom. Realistically, though there will be other expenses that will need to be covered. Add non-essential items to your budget. By non-essential items, I don’t mean a $100 per month budget to Target for home decor. Your non-essential (but still kind of essential) items might be things such as a haircut, a date night, gifts for family members and any other items that aren’t required for survival, but are nice to have money for. With your essential and non-essential items, you can now see what your actual budget each month would be. If your single income will cover your budget, then becoming a stay-at-home-mom will work! Related Post: 5 Ways to Build a House on the Cheap! Now that your budget is in place, it’s important to look at another area of your finances. One of the hardest things for most people to do is to cut their excess spending. It seems like once we are living a certain way, with a certain lifestyle “level”, cutting down is really hard. But, if you really want to become a stay-at-home-mom, it’s important to look at where else you can cut your spending so that your budget works. Sometimes excess spending looks like frivolous Amazon shopping (admitting guilt here), while other times it might be the food you buy and waste because you never make a grocery list or meal plan. Maybe instead of cutting out your spending completely, you can figure out some ways to be more thrifty. I’m not afraid to admit that I love a great sale and do a lot of my shopping out of season, or shop second-hand in order to get the best deals! 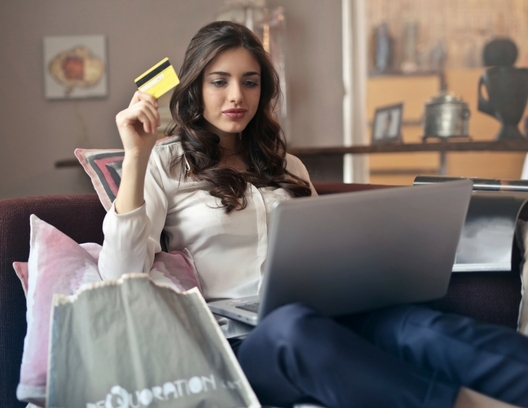 This step of fine-tuning your finances is important because it makes you aware of places that you can actually save money that you never knew existed. $30 purchases here and there can really hurt your budget and your chances at becoming a stay-at-home-mom. As I’ve mentioned before, I really believe in moms staying at home with their kids if at all possible. I believe in it so much that I would be willing to sell my brand new, dream house, to continue to stay at home with my kids. I’m dead serious. If you are passionate about becoming a stay-at-home-mom, and the numbers just aren’t panning out for you to quit working, you might considering downsizing. Related Post: How We Downsized Twice in one Year and Survived! Downsizing your house, your car, boat, and any other property that is costing you money (or has great value and is paid off), could be the answer to you becoming a stay-at-home-mom. Consider a side hustle to supplement your household income. If you have done all of the above suggestions, and you can’t quit working completely, consider a side hustle to supplement your household income (or replace your income totally!). When you consider working from home, make sure that you consider what it was actually costing you to work outside of the home. For example, you won’t have to pay for fuel to get to and from work and you definitely won’t need to purchase a work place wardrobe. Also, the cost of daycare is a HUGE cost, so that should be taken into consideration. Take a look at your strengths and see how you can transform that into side money, while still getting to spend time with your kids at home. Becoming a stay-at-home-mom doesn’t have to stay a pipe dream for you. When you really look at your budget and the (sometimes) extra things you’re spending money on, you can get a clear picture of your finances and where to cut expenses. Staying at home with your kids is well-worth the time and effort it takes to get your finances in order. When you’re playing with Legos on the floor in the middle of the day, you will be so glad you did! Love this! We don’t have kids yet, and are working really hard to pay off our house before we do! 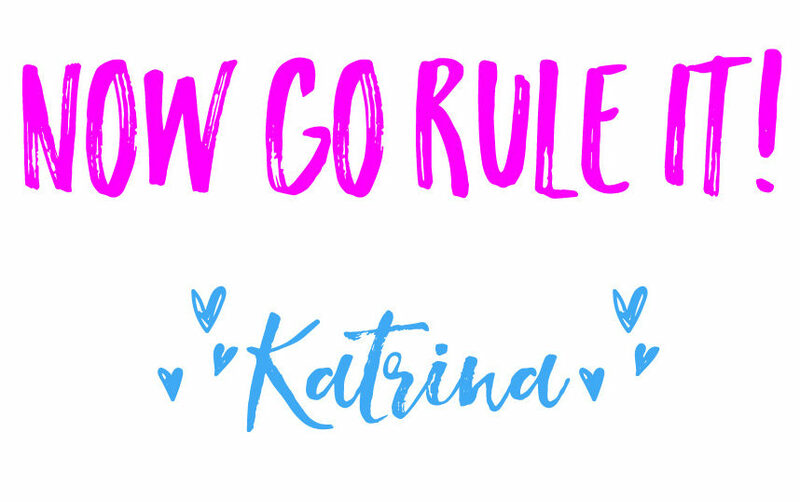 I am working a lot on the side (blogging, refinishing and selling furniture, craft shows) so that I can build a steady income and say bye-bye to my day job! Thanks for the helpful tips and inspiration! Hey Amanda! Thanks for stopping by! I’m so glad this post was helpful to you. I definitely didn’t plan on becoming a stay-at-home-mom, though I ***wish*** I would have planned on it from the beginning. I was young and dumb. 😉 It is sooooo doable though! Keep doing what you’re doing!